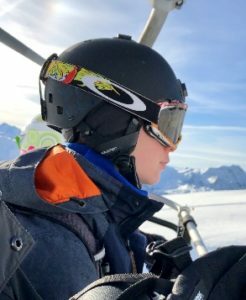 Half term is approaching and, like me many of you will be off on a ski trip with family and friends, or perhaps we will have more snow here? Either way there is plenty of fun to be had making magical snowy images. It can be a challenge to capture images in the snow, its cold, you don’t want to drop your camera, it’s time for après…. but here a few things you can try do to make your images more memorable this holiday. Ski ahead and get yourself ready. If you can find a spot on a quiet slope ski ahead and get set up, I usually take off my skis so I can move with my subject, you can get lower to the ground to make for a more spectacular image, then you just need a child willing to show off!! Add perspective. Its hard sometimes to show the enormity of the mountain scenery, try to get a bit of distance between you and your subject and include some objects that give perspective to the scene. Use the low afternoon sun. I love to use silhouettes and if you are still skiing long after you should have started après there are plenty of opportunities on the mountain to capture great images. Get up close and personal. Under all that kit sometimes it hard to spot even your own kids! Use the evening light. Now I love a mountain shot just as much as the next person but sometimes it’s hard to tell one from the other. If you leave your scenic shots till a bit later in the day there are wonderful sunsets and a colour to make your heart burst and a memory linger. Don’t forget meeeee. When you have finished taking photos of everyone else remember to leave some room on the memory card for you! Have fun with your camera this half term, whether you are on the slopes or enjoying a family walk at our own beautiful High Elms. Reflexology – what is it and why is it so popular.